Rich,buttery scones served with clotted cream and fruit preserve along with tea,tell me who hasn't read about these in Enid Blyton's books?Our childhood was filled with memories reading about foods like these but it was only a while back I tasted a 'real' scone on our trip to UK.Apart from the regular agenda we had for the tour,I clearly had two things in mind-taste real scones from any quaint cafe and get hold of some real good quality Bitter Orange marmalade.Gladly,I could tick both things off. The first one I had was on the flight and believe me,I was floored.Petite scones,buttery and full of flavour paired with some clotted cream I felt like I already reached London:).For a few days I didn't find any place where I could taste these again and then out of the blue,just like I'd wanted,got these at a small roadside cafe.Though not a fan of combining sweets and tea together,I gladly gulped down my big cup of tea and polished off the scones and the fruit preserve. Ever since,I've been wanting to try these at home.Recently a dear friend gifted me an old book which has some really priceless recipes for bakes and frostings and I decided I don't have to look around for a trusted recipe anymore.The recipe is for a plain scone which can be customized according to our choice-adding candied fruits,dried fruits or even chocolate chips and flavouring with orange zest or cinnamon.Choose your pick! Grease and line a cookie tray.Preheat oven to 230C. Mix the vanilla caviar into milk and let it infuse for about 5-7 minutes or until you get the rest of the ingredients ready. 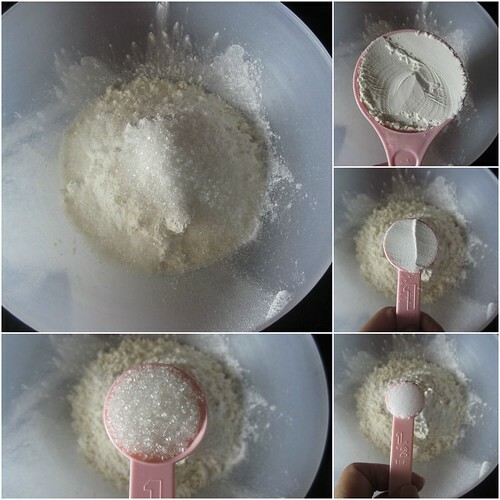 In a mixing bowl,mix together the dry ingredients starting with flour,baking powder,salt and sugar. 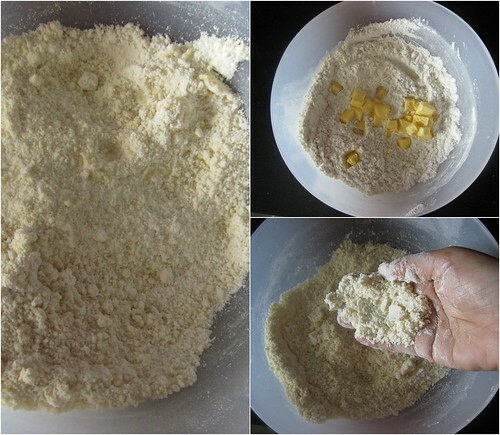 Add the butter and rub it in the flour using a fork or your finger tips till the mixture resembles fine bread crumbs. Add the beaten egg and milk and mix till the dough comes together. 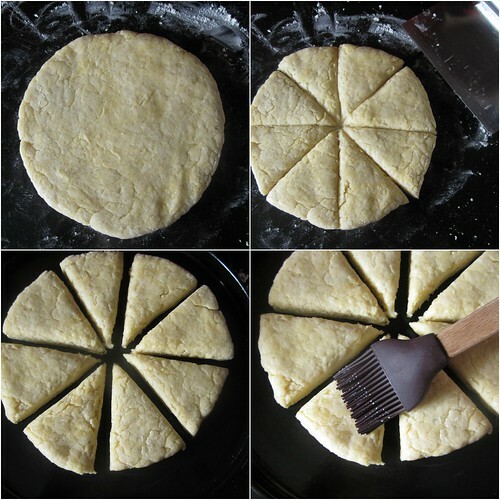 Turn the dough into a floured surface and gently flatten the dough to about an inch using your hand or a rolling pin.I decided to roll the dough into a round shape.Using a sharp knife or a dough scraper,cut the scones into 8 equal wedges.Place the wedges on the prepared baking sheets each one almost touching each other.Brush the top with milk or beaten egg. Bake for about 13-15 minutes or until well risen and firm. 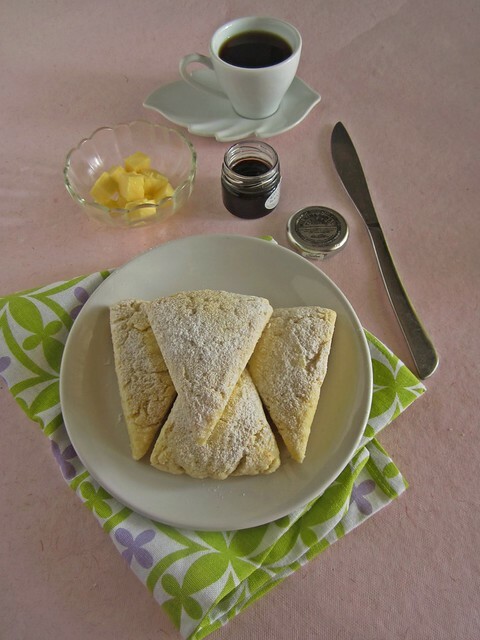 Slide in one piece,on a wire rack and cover with a towel.Leave to cool and serve with clotted cream(or butter),fruit preserve and black tea. The original recipe calls for self raising flour,but I used plain flour and baking powder. 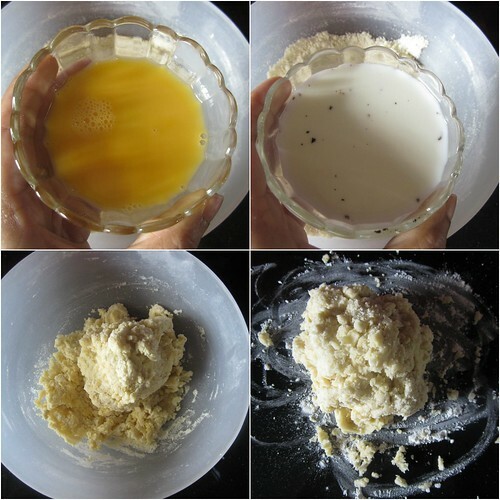 Do not over work the dough as it develops gluten in the flour and which would not yield tender and flaky scones.Stop mixing the dough just when it comes together as a mass and not a smooth dough ball. Using cold butter is a very important step as it ensures the butter remains solid and does not melt as you assemble the dough. 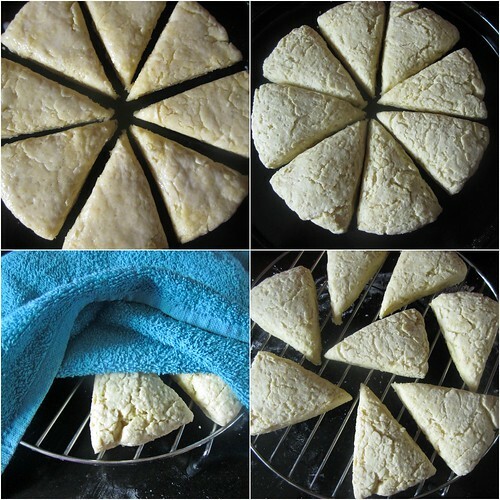 Keep an eye on the baking time as it can easily go from baked to over baked within a matter of few minutes.As soon as the scones come out of the oven,place the scones on a wire rack and cover with a thick kitchen towel,this would introduce steam back into the scones which would keep them soft. 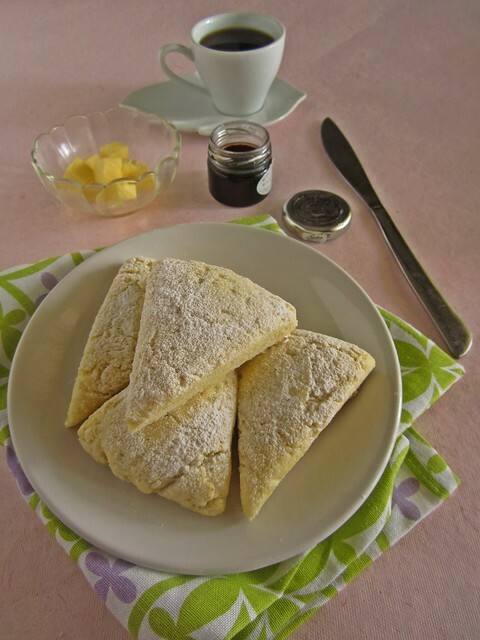 Delicious and lovely looking scones. Wonderful preparation. Oh yes, scones and Enid Blyton. Those of us who grew up in India definitely make that connection. :) Your have turned out so beautifully. Even i had them while travelling towards London for the first time. 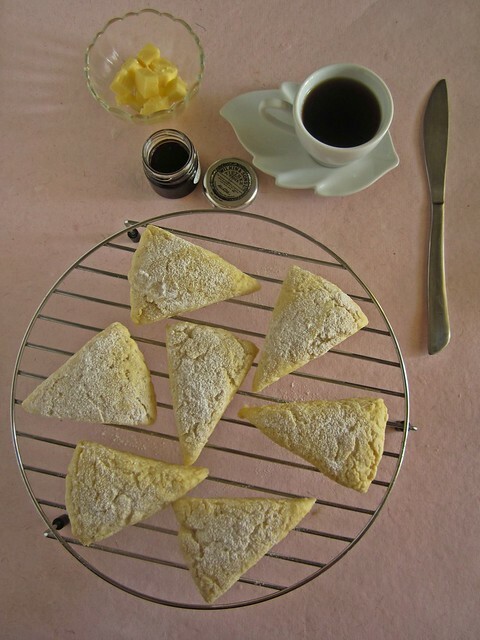 Scones looks fantastic, can have it everyday for my breakfast. same here. then i used to wonder what are these scones... lol. now i know but strangely i have never had them. i have the recipes too, but never tried. plan to make with an egg substitute soon. yours are looking perfect. Yeah those Enid Blyton books really made us want these, didn't they? Do you know I've never tried a scone yet!